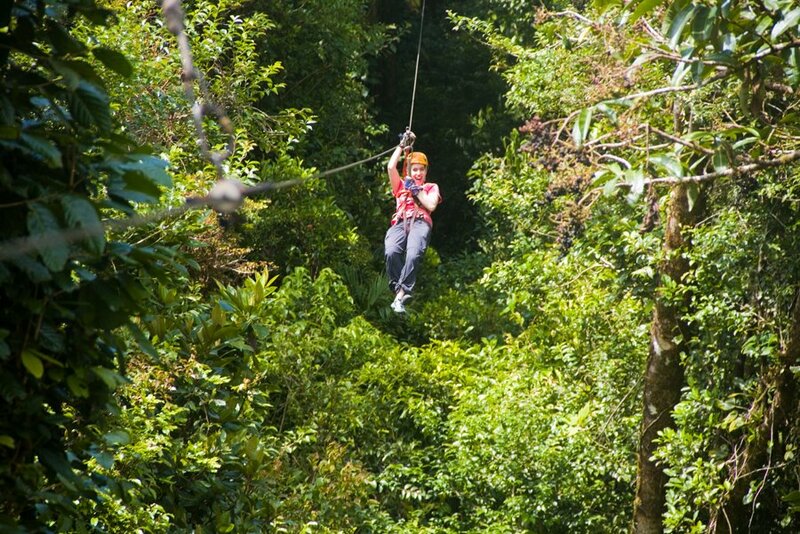 No one can miss zip-lining in the rainforest in Costa Rica. Today, I went zip-lining on 13 lines. Some of my most favorite moments in life are dreaming of my flying like a bird while sleeping at night. The feeling of being able to move with the wind at a high speed, choose my own path of journey, and see the world above me is such an exhilarating experience. Often times in my dreams, I am flying through exotic destinations. Perhaps these dreams are a sign of longing for more travels? I think so. I should admit that I often get reoccurrence dreams of flying through Lacoste, France, where I studied for two semesters during my undergrad studies. I do still long for going back to France to enjoy the serene scenes of mountains, beautiful buildings, and delicious food. However, I have to push myself to move on and see new destinations. I have to remind myself that there is still so much of the world out there that I haven’t seen, and I will come across many more beautiful places. Thus, zip-lining gives me the closest real life experience of flying. Even though I am attached to a long cord and cannot choose which path to take, I can still feel like as if I am flying along with the wind and see the world above me. Seeing the trees above me along with mountains in the background was such a surreal experience. 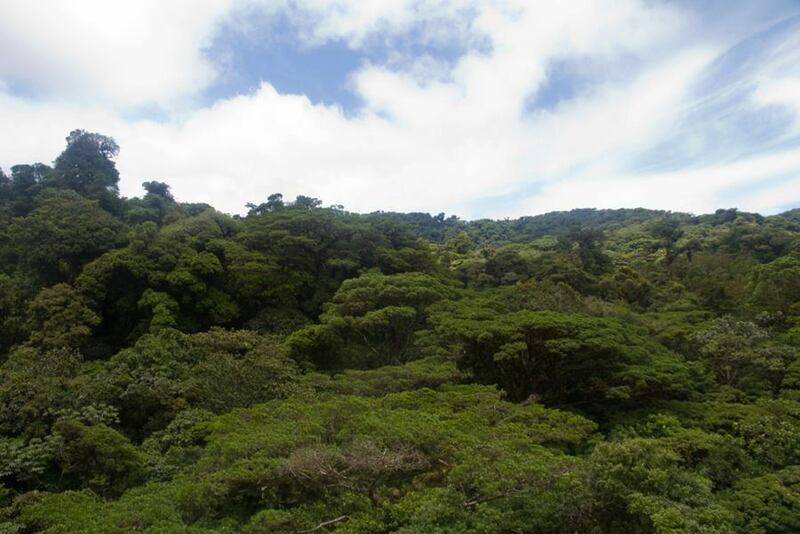 Seeing the rainforest in Monteverde confirmed that there are indeed many more beautiful destinations aside from Provence. After zip-lining through the rainforest, I walked on several canopy bridges. While the bridges were high above the world, the experience was no where near as surreal as zip-lining. There was no feeling of high speed and flying. 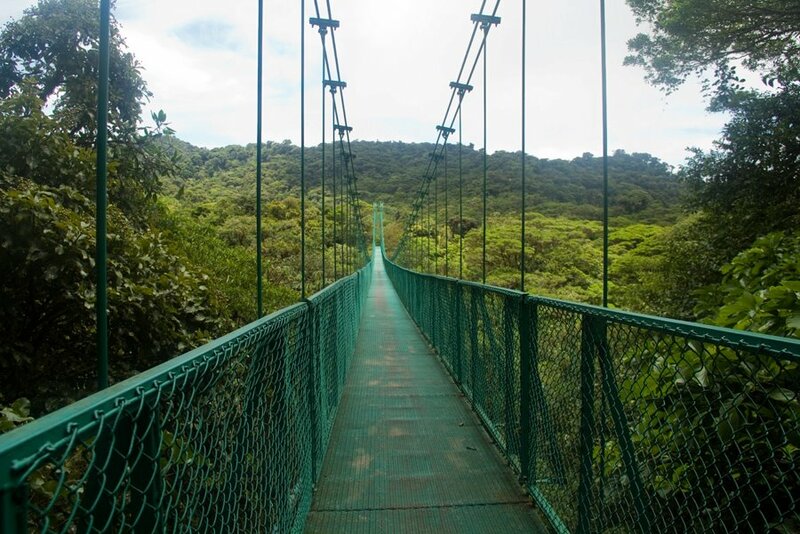 I often hear that the benefit of walking on canopy bridges is being able to see many of rainforest species as majority of them are in the tree tops. However, I did not see any species. I am sure if I went with a guide who has experiences in being able to spot species, I would have been able to see them. 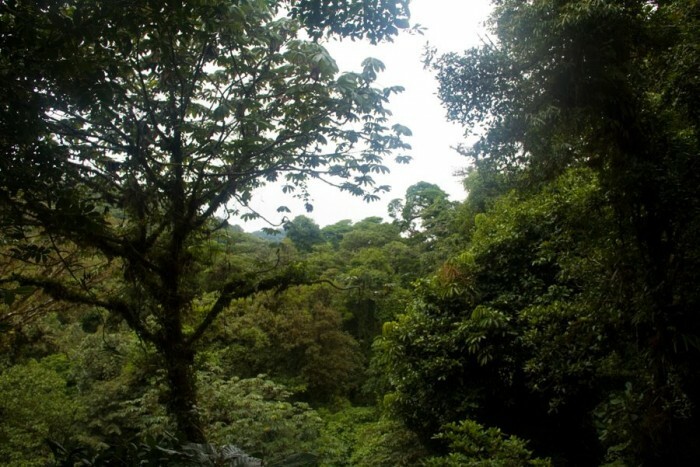 Check out these videos of my flying through the rainforest! AND YES! I went on the Tarzan swing! Be aware – if you have phobias of falling, I would NOT watch it!